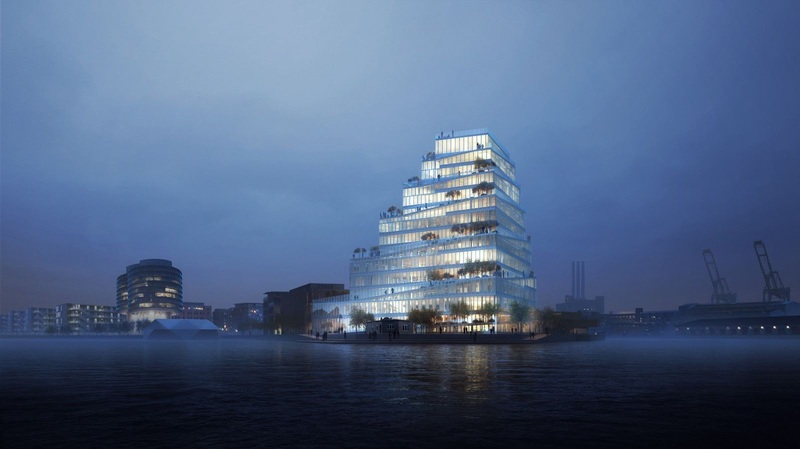 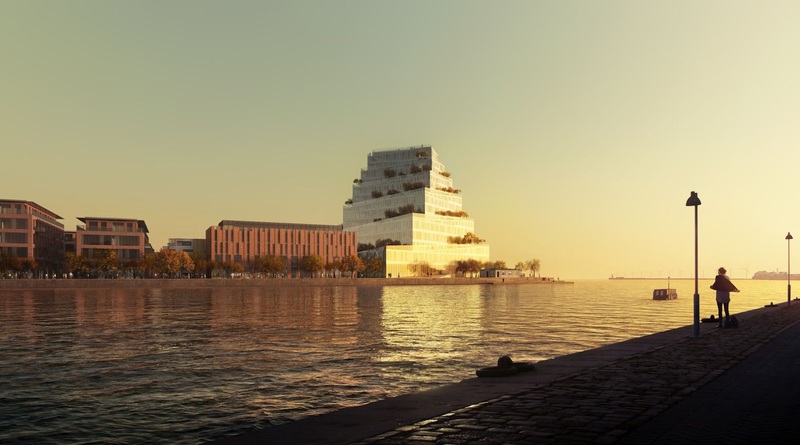 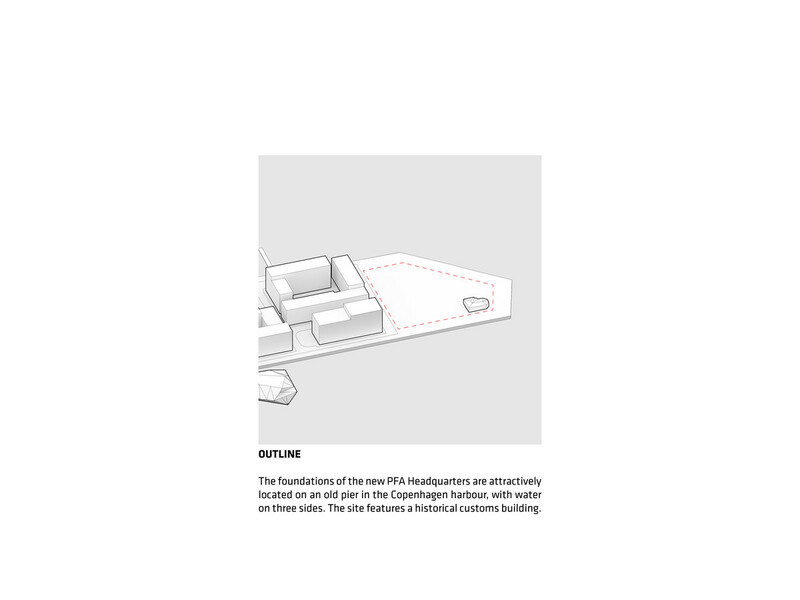 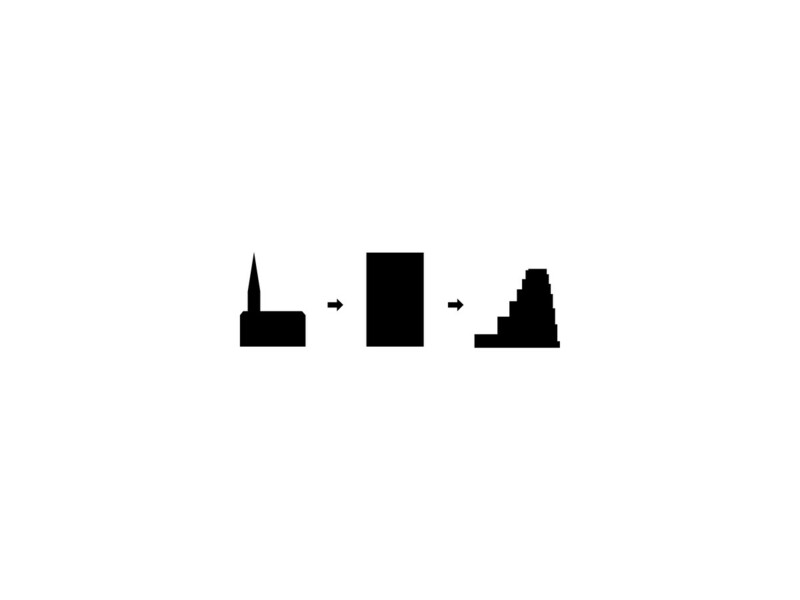 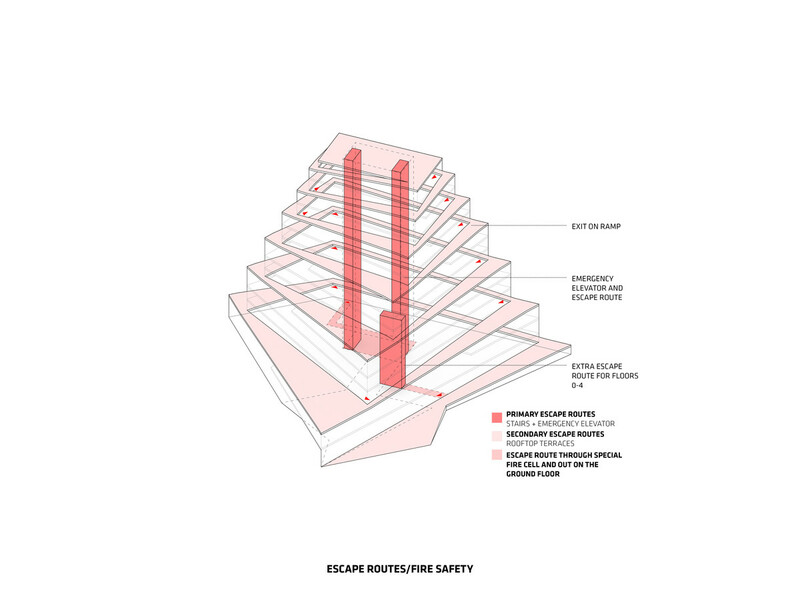 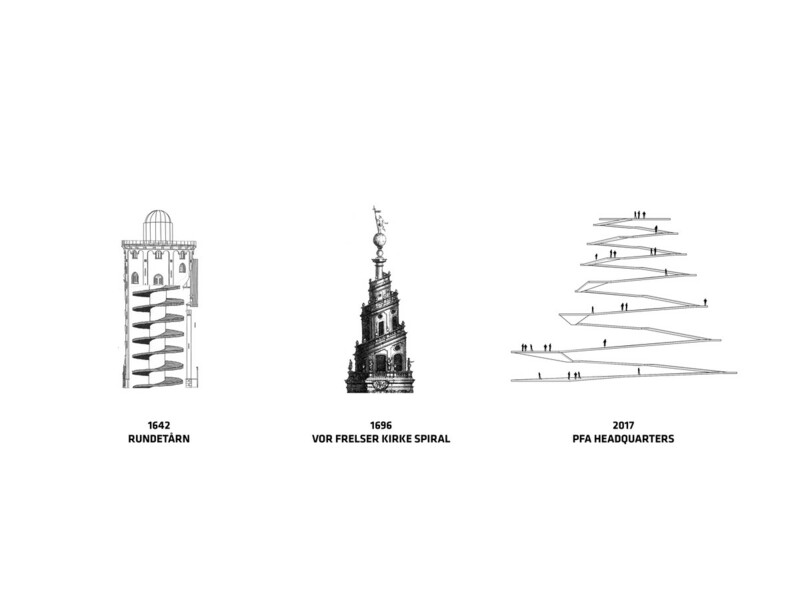 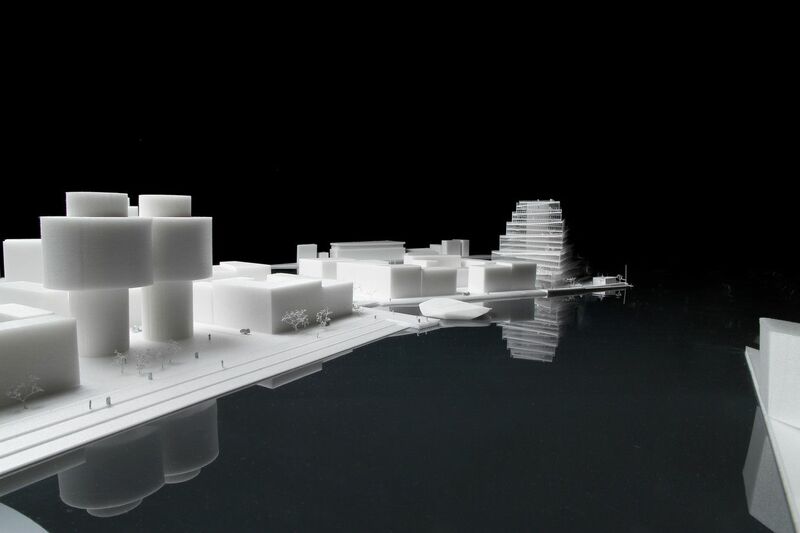 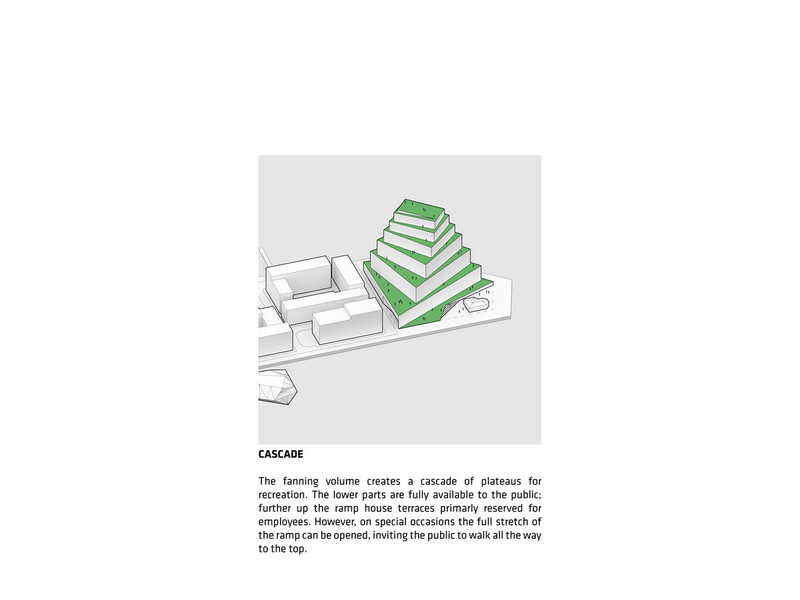 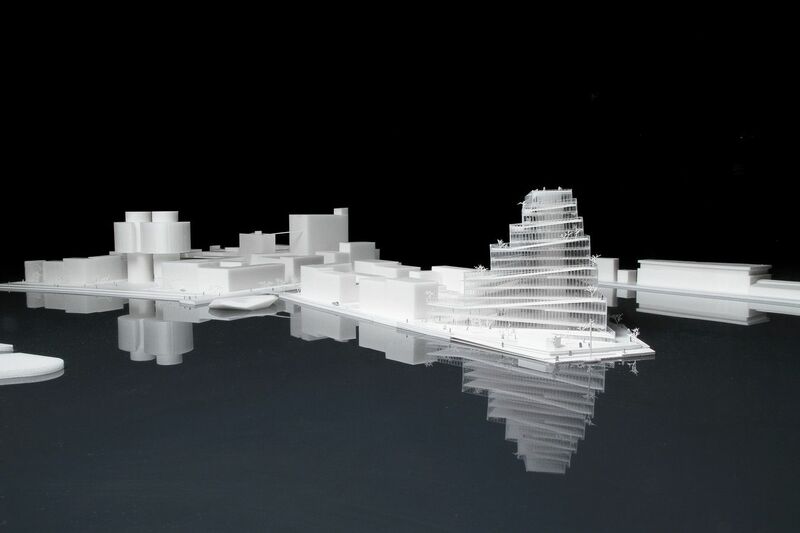 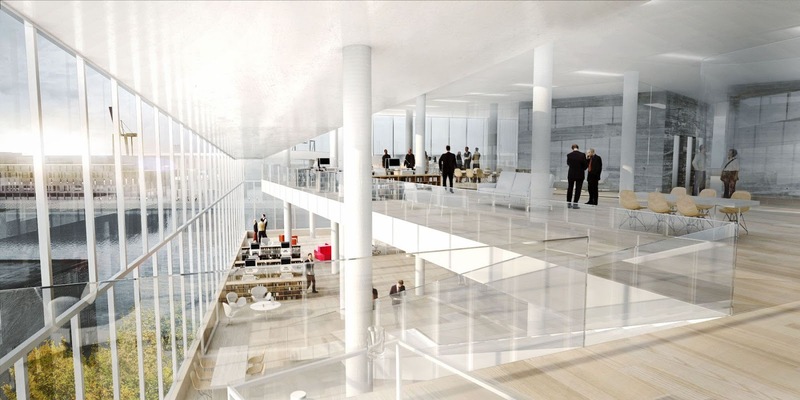 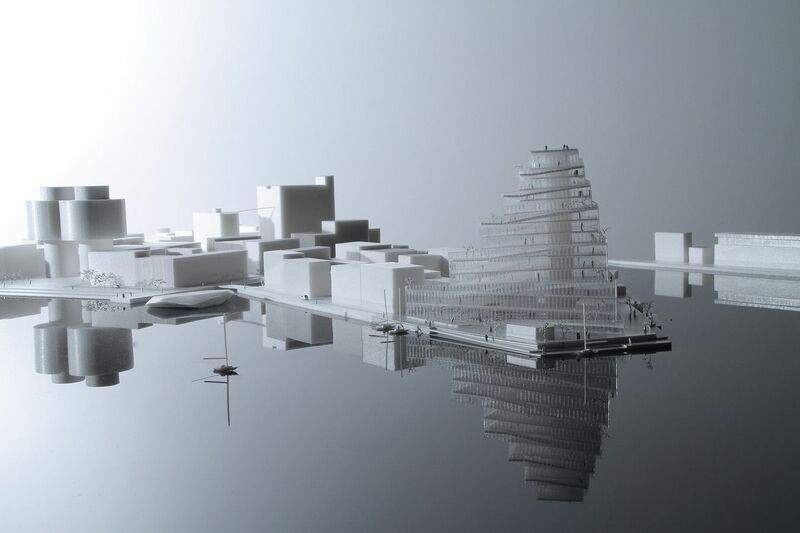 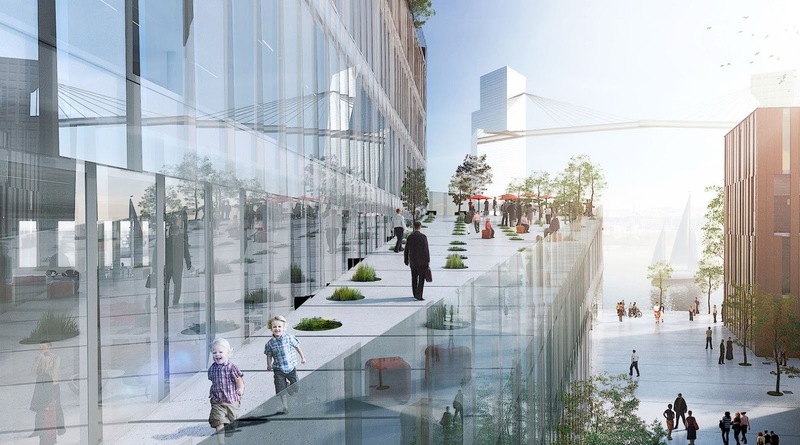 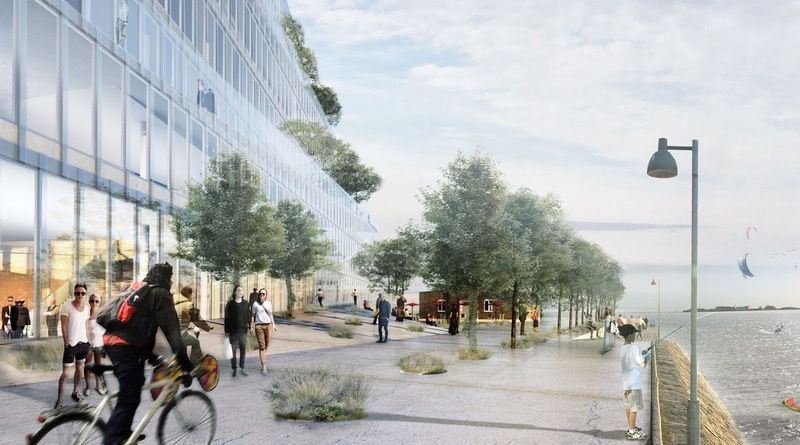 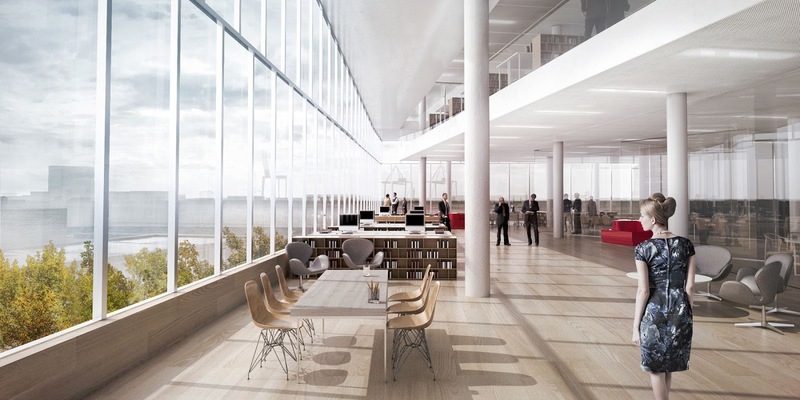 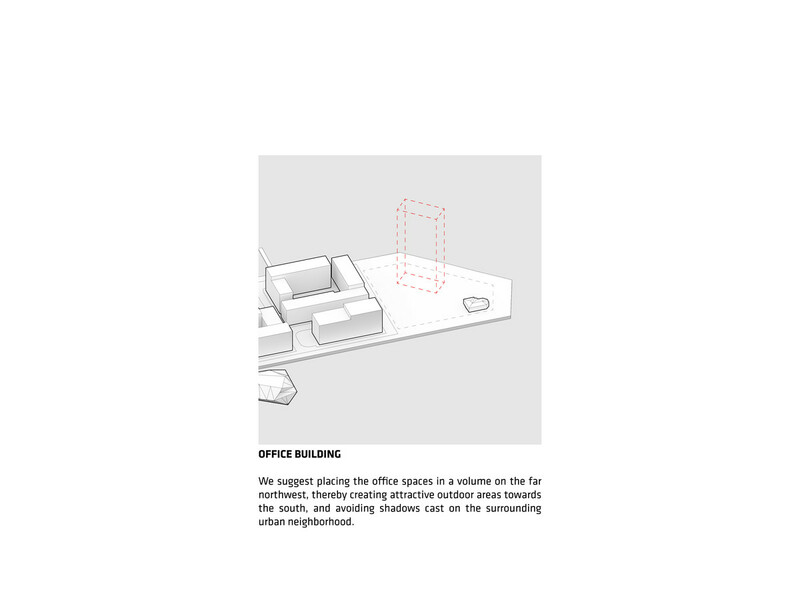 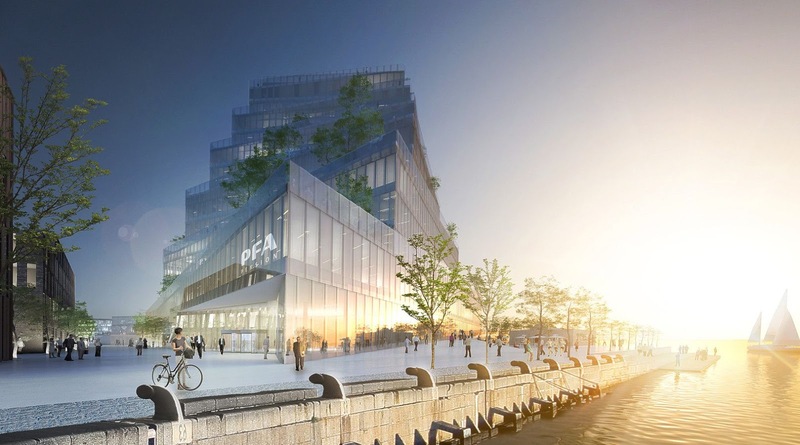 We propose to continue this tradition in PFA’s new headquarters, which is broken up into terrace segments, like a ziggurat – a modern interpretation of the historical spires of Copenhagen. 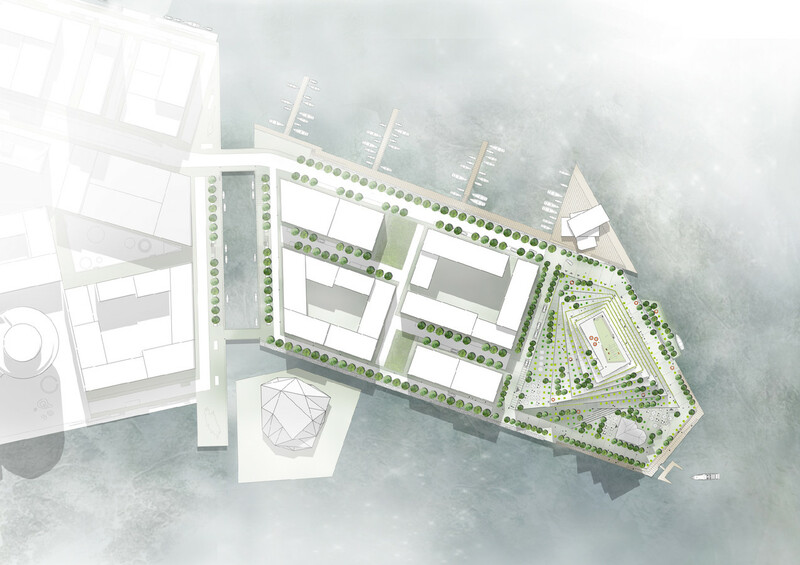 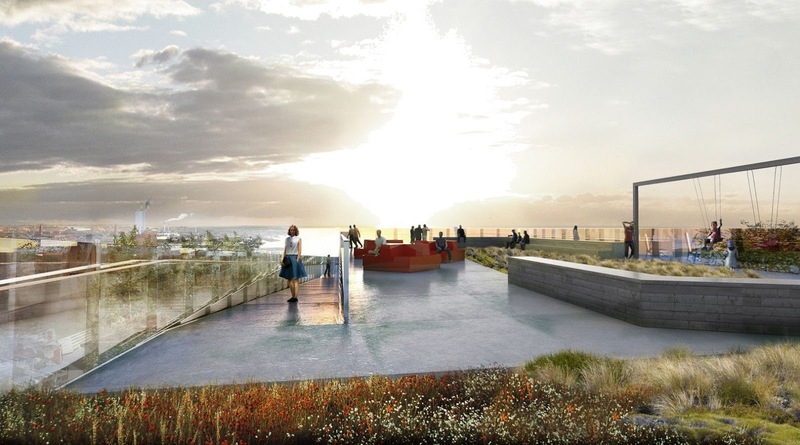 The terraces are formed as a continuous spiral that rises from the quayside as a mountain path, providing access to a series of public plazas and gardens with spectacular views towards the surrounding harbor. 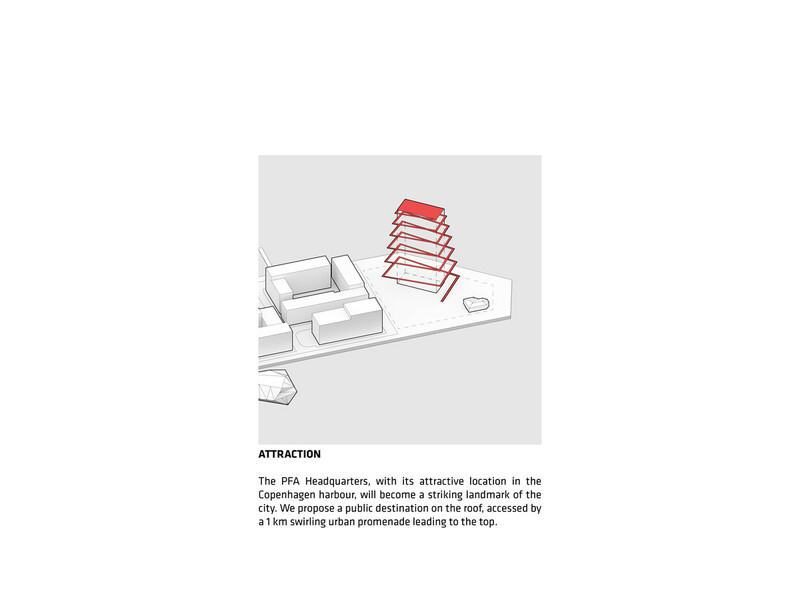 The spiraling terraces function partly as a public promenade for the city’s residents and partly as an everyday outdoor space for PFA’s employees and visitors. 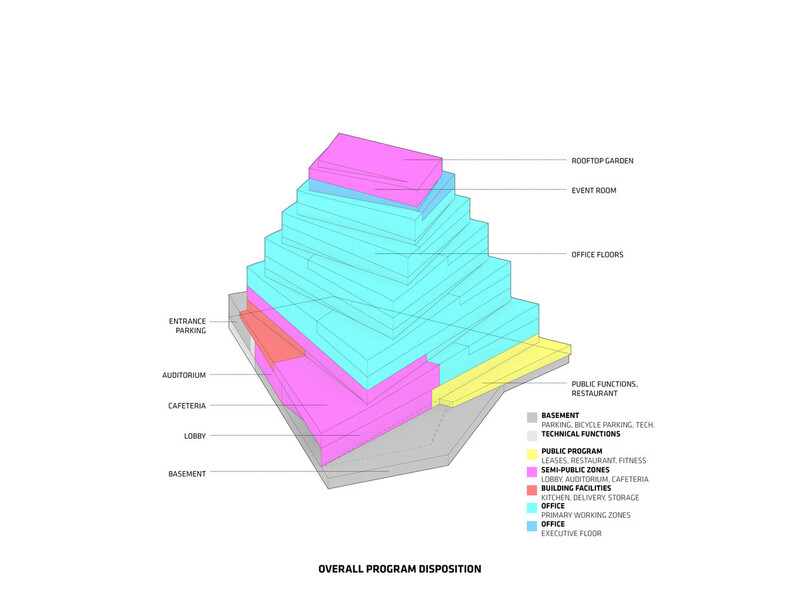 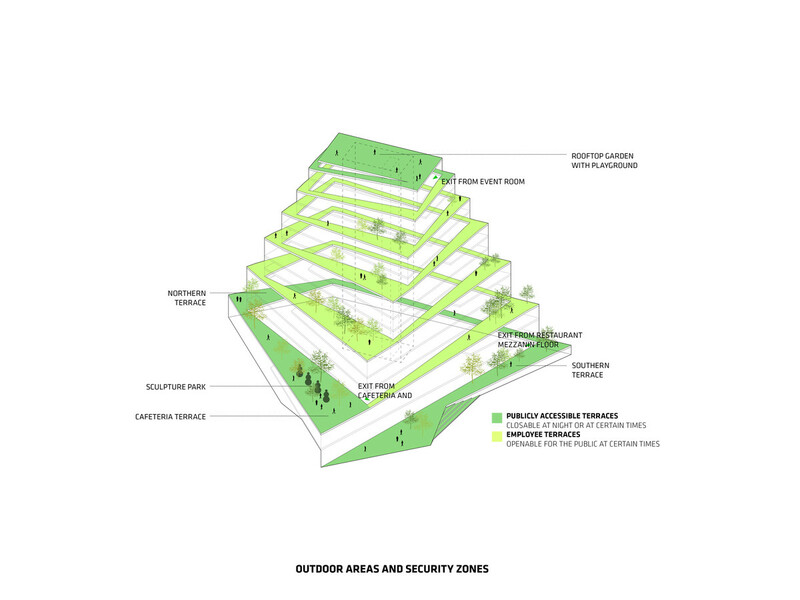 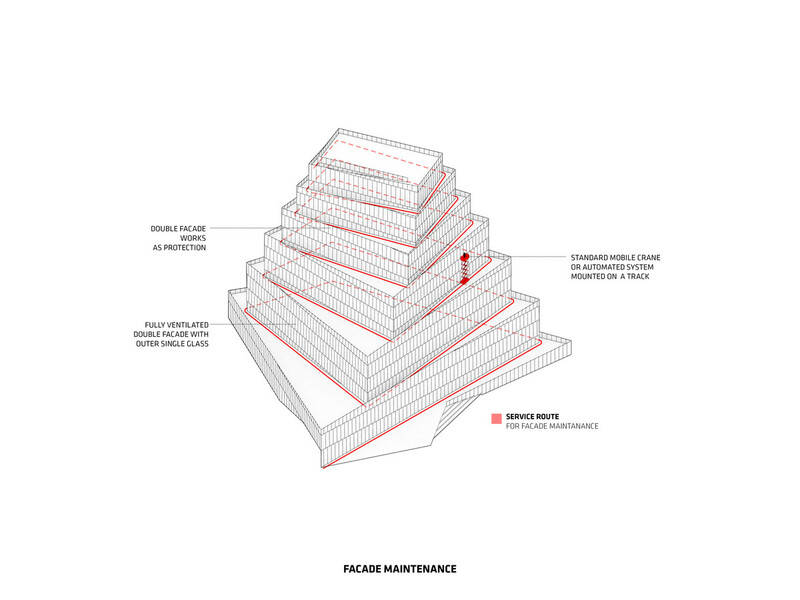 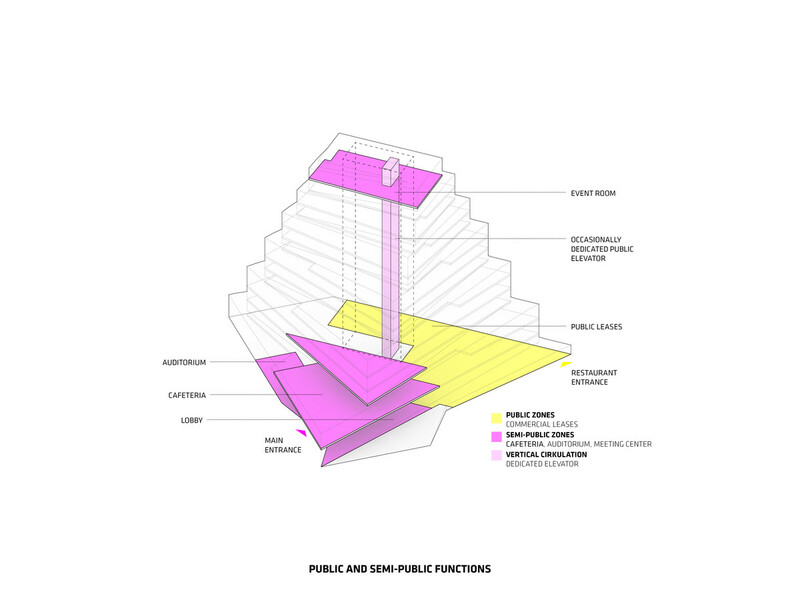 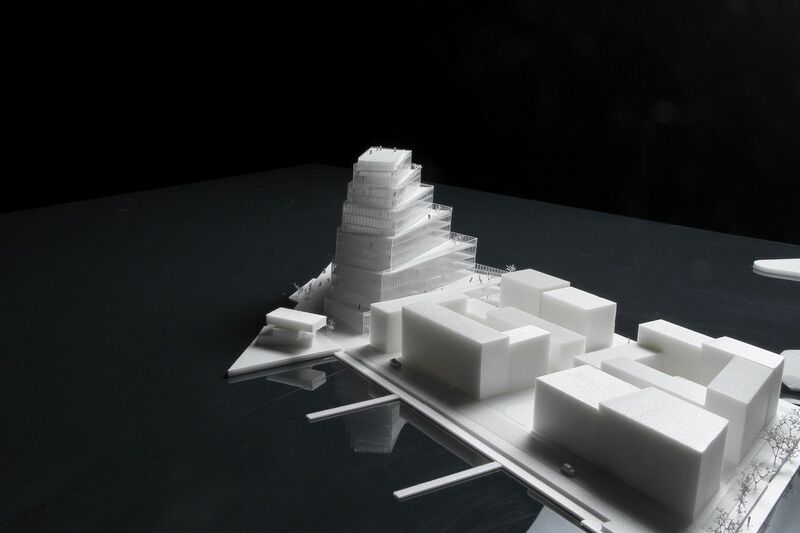 ⦁ the PFA Ziggurat will rise as a symbol of a city where public and private interests can coexist and meet in the effort to create a new vibrant neighborhood.